3 students for 1 instructor maximum ! 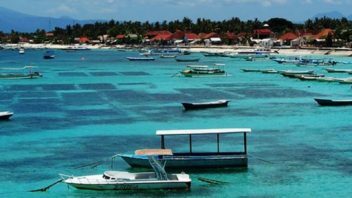 Nusa Lembongan is THE dream island for surfers of all levels. 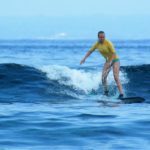 If you are a complete beginner, all the team at Monkey Surf School Bali be pleased to train you to become able to surf by your own. 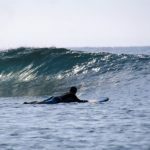 Intermediate surfer, come to Monkey Surf School to improve your skills and enjoy the waves. 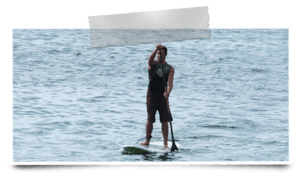 We also offer a wide range of high quality surfboards and stand-up paddle for rental. More than 40 surfboards to choose from ! 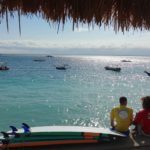 We depend on the tide and ocean conditions of Nusa Lembongan to schedule the surf lessons so we only know the starting time of the class 3 days in advance. Please book at least one day before to ensure we have room (high season at least 2-3 days ahead). 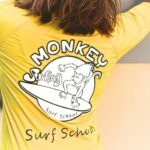 Monkey Surf School Bali teaching focus is the quality, not the quantity and safety first. Groups in water are made of 3 students max for 1 instructor. Our experienced surf instructors are surf life-saving and ISA certified and our classes follow the ISA Standards. 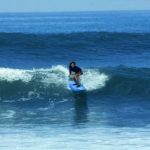 This different approach of teaching have shown great results over the 5 years of surf school existence. Don’t forget : surf is about FUN and love of the Ocean ! – 1 instructor for 3 students maximum (Private lessons possible on request) . Your instructor stays with you in the water, brings you to the surf area, gives you great tips to improve and ensure your safety. The venue of the lesson is chosen carefully to meet the international surf school safety standards and the experience of the students. We have the option of 4 different surfbreaks to ensure less crowd. A local experienced surfer will guide you to the peak and ensure your safety. Once you have completed your surf lessons program keep practicing with us. YOU DON’T KNOW IF YOU ARE BEGINNER/INTERMEDIATE AND WHAT KIND OF LESSON WOULD BE GOOD FOR YOU ? No worries, contact us or stop at the surf school and we will ask you a few questions to help you select the most suitable lesson for yourself. 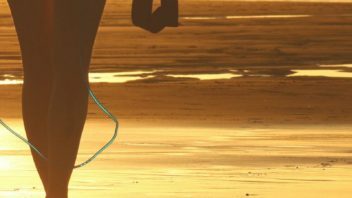 The beginner surf lesson will start with 30 min practice on the beach to learn the basics of surfing (position on the surfboard, how to stand up,...). 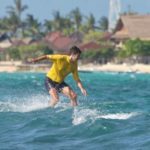 The students doing the intermediate surf lesson will have instead 30 min of theory to explain how the waves in Lembongan are working. 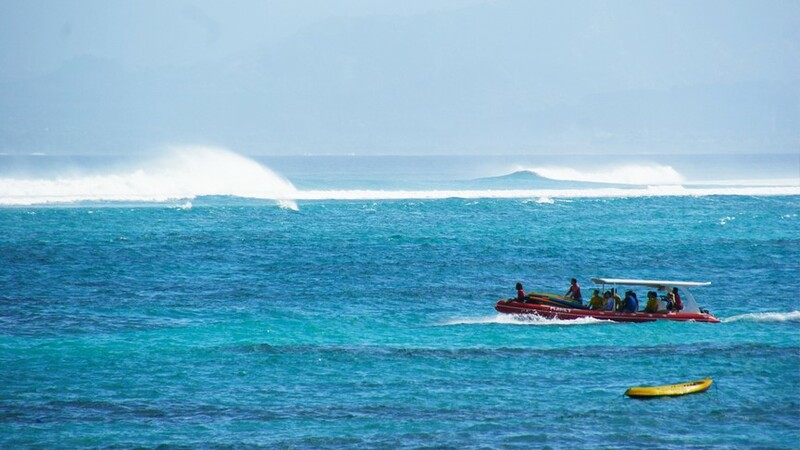 Most of the surfbreaks are 15 min paddling distance from the shore, so we include the boat transport to save your arms ! 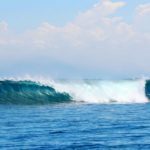 Depending on the swell size and the students experience we will choose the most appropriate surf break. Finally comes the time to get in the water ! Your instructor stays in the water with you to position you properly in the waves and help if necessary. The small groups of 3 students max per instructor allows us more time to spend with our students to give feedback and focus on each person's wave . Skills learnt will depend on the experience of the students of course. Easy booking by email. Made reservation late day before, got fast responses. Instructor was super nice with good english. perfect setup for beginners. My wife stood up and surfed several times even though it was her first time. Dewa, Planet and Cris are a fantastic bunch of guys. They teach you all the essentials of surfing and how to surf a reef break, coupled with their patience, good spirits and expertise it made for an excellent experience. They are right on the beach in front of Lacerations and you will definitely come away with riding some wave. I learned a great deal from them. Check them out and see for yourself!! I booked the 5 day premium package. Great value for money. My holiday was well organised. Pickup/ drop off to my hotel in Bali. Boat trip. Accommodation at Rama Garden. 5 surf days/ 5 yoga lessons. Breakfast/ Lunch included. I received 5 lessons with experienced instructors who want to see you do well and exceed. Planet has the patience of a Saint! Chris organised everything terrifically and answered all my questions regardless of how obscure they were. I would recommend and will be back to see the guys! Check out all memories on Monkey Surfing instagram. We have it all ! The widest choice on the island ! More than 40 surfboards to choose from.